1. 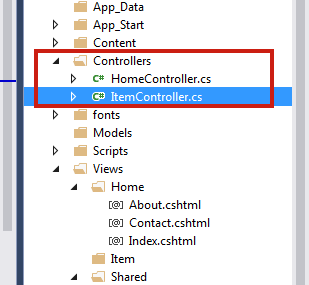 How to add Controllers in ASP.NET MVC 5 Project? 2. 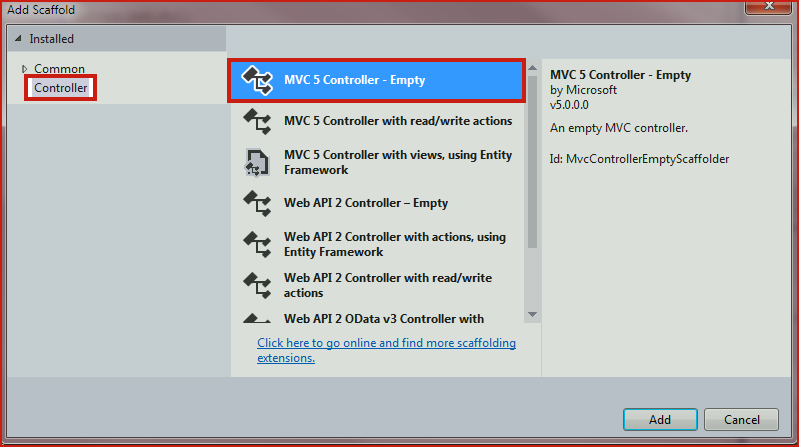 How to add a View Page for Controllers in MVC 5? In the previous chapter, you learned basics of Controller. However, the theory is not as important as practical is. In this chapter, I have added a very simple controller and their view page to make you understand how controller and view page works together. 3. Give Controller Name to ItemController. "Controller" suffix must be added in controller name. Click Add button to add controller. 4. Your Item Controller will look like this. In the above link, Item is controller and Index is action method. 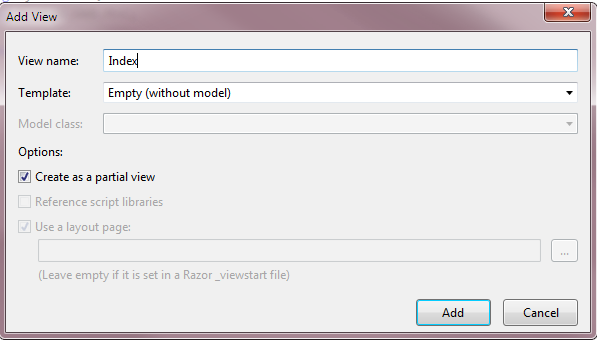 When user click on the link, it will search for ItemController with Index() Action method. Controllers keeps action method that gets executed when user needs them. There must be a ViewPage Index.cshtml in Item Folder, otherwise you will get error message. 2. Select option as picture below and click Add button to add view page. 3. Your Index view page is added. You can see here. 1. 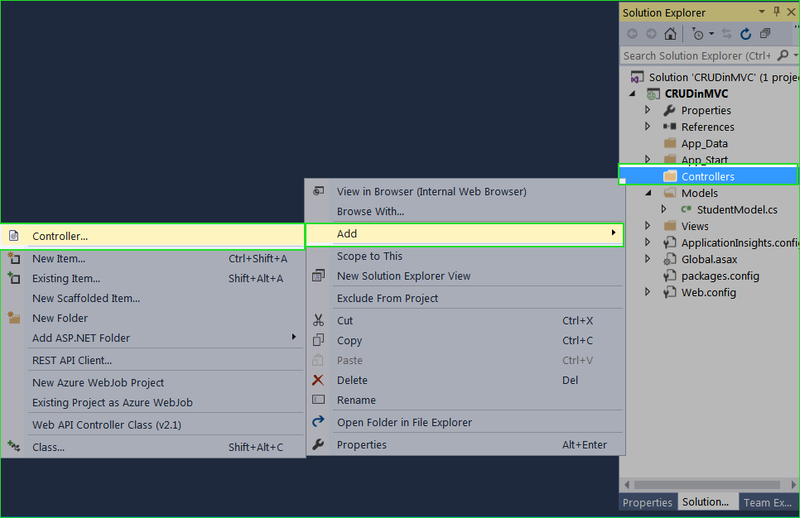 Add following codes in ItemController.cs file. 2. 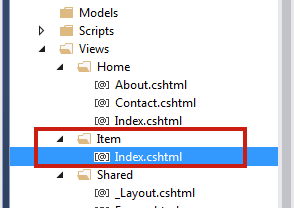 Add Following code in Item Index.cshtml file. 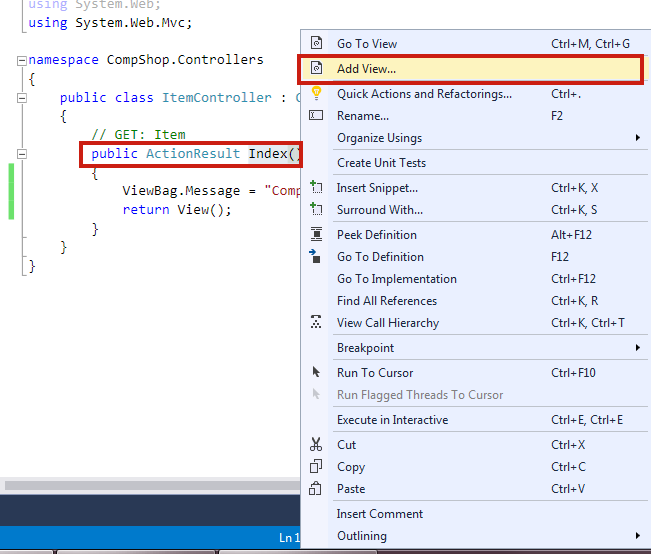 In this chapter, you seen that there is an ActionResult Index() method. You must be thinking about ActionResult. In this next chapter, we will learn all ActionResult method with the help of programming example.